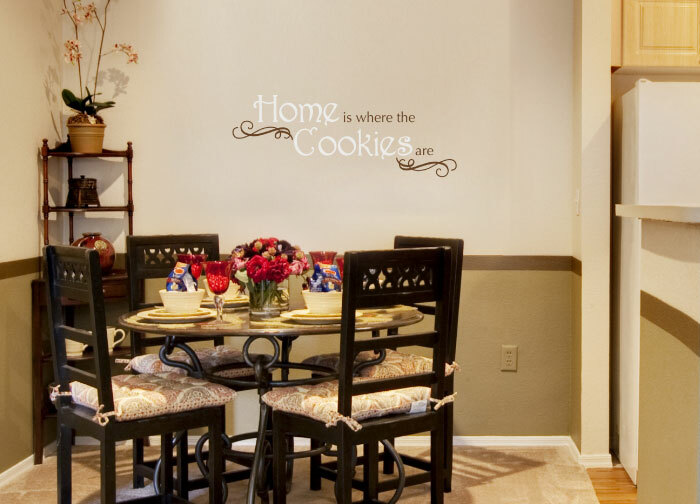 Are you looking to decorate the wall space in your dining room? Read on! 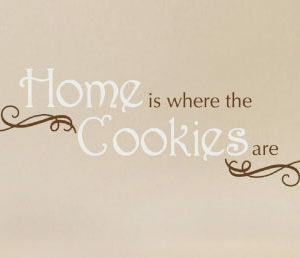 There is no place like home and we have just the thing to turn it into a cozy and delightful space! 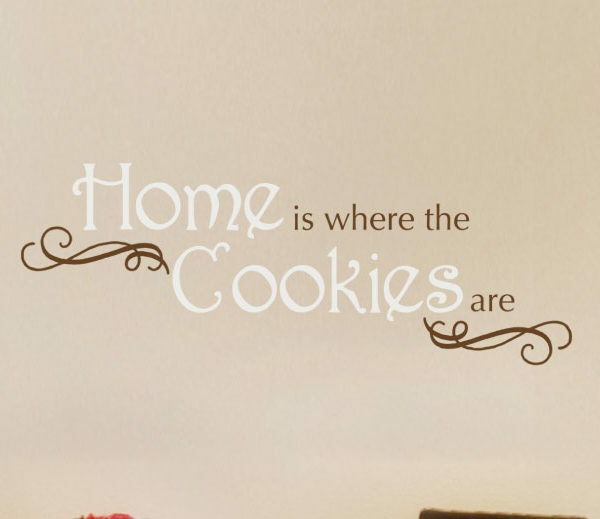 For your dining room, we have ‘Home is where the cookies are’ wall words. We tried them out in this open plan dining area and were thrilled with the results! The two colored wall letters turned that wall space into the focal point. They do look great next to the eye catching floral arrangement! Its lettering art was stylish and uplifting at the same time. They brighten up this space as do the red accents scattered in the room and the flowers. 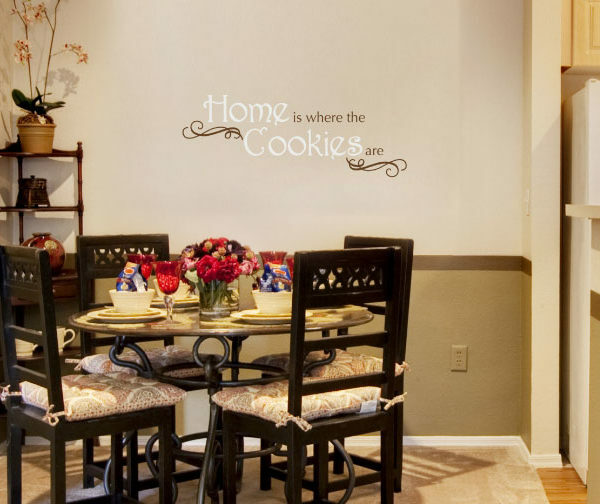 Dining will be a pleasant and cheerful affair in this room with amazing wall decor! 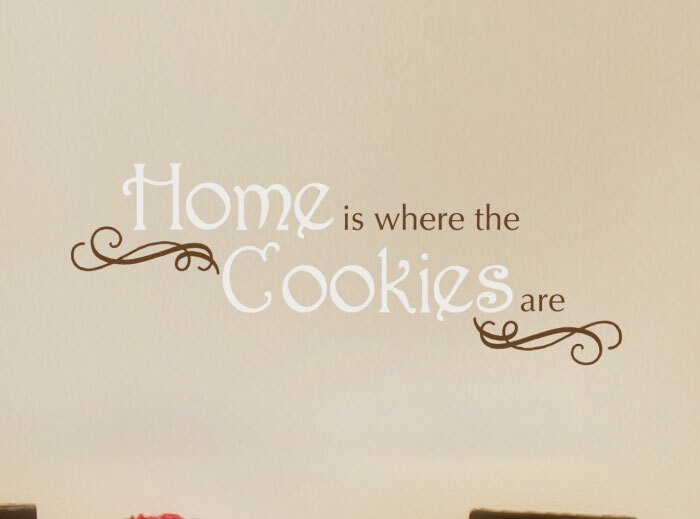 At DecorativeLettering, we have this wall lettering and more that will jazz up any wall space in your home! Select this quote or submit your preferred one if we do not have what you want. Our designers are good at what they do. You will end up with wall quotes you will enjoy for years to come! Make sure you use our previewer to confirm that you have selected the right color, style and size wall decals for your room. Submit: our designers will take it from there! Our wall quotes are affordable! We even have a customer awards program that enables you to purchase more cheaply. Sign up! Do call or email. We would love to help you decorate with stunning wall decor!